The number of national and regional cannabis business conferences has mushroomed in the past two years, growing from a single event in 2013 to over 30 such gatherings in 2015 alone, according to research by Marijuana Business Daily. 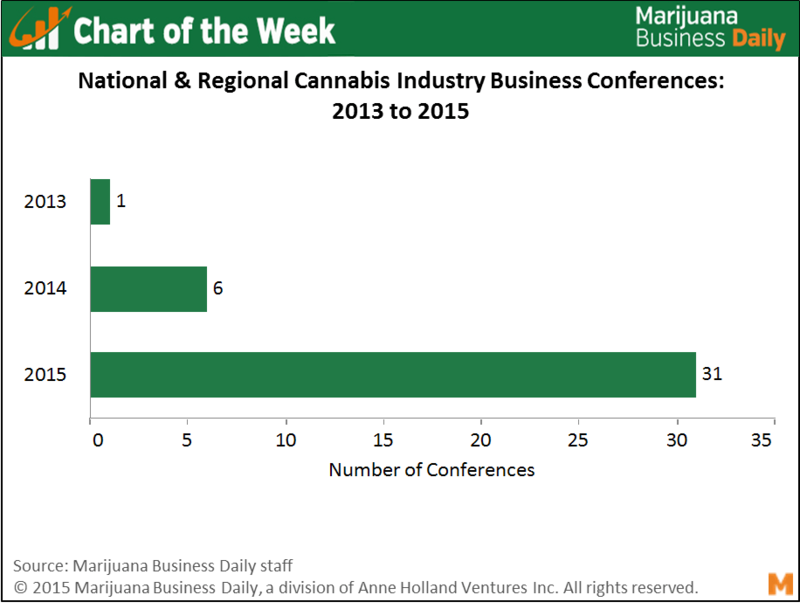 The increase reflects the rapid emergence of a legitimate industry rising from the shadows, though there are signs that a shakeout in the cannabis conference scene could be on tap. Cannabis “lifestyle” and consumer-focused events focused squarely on patients or general marijuana users have been around for decades and until recently were essentially the only official gatherings related to the plant. However, cannabis business conferences – which are focused on bringing professionals in the industry together to network and learn about operating a legal, successful marijuana enterprise – have only been around for a few years. 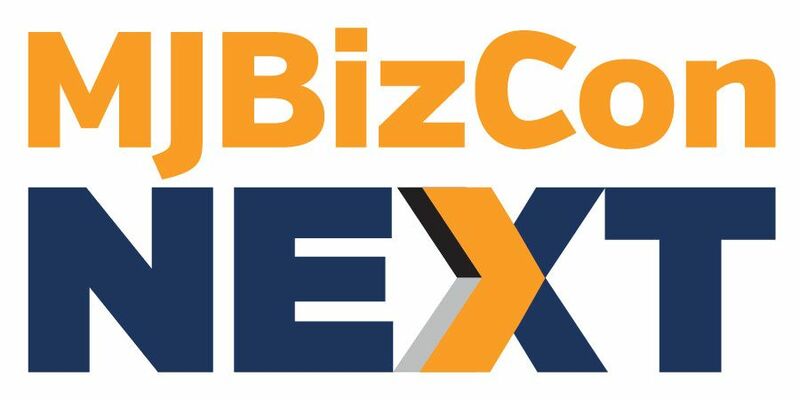 The tremendous increase in demand for these conferences over the past two years highlights the exponential growth of cannabis business opportunities as well as the coalescence of a legitimate industry around those companies and professionals. The U.S. cannabis industry itself has ballooned, with medical and recreational sales via dispensaries and rec shops soaring from $1.6 billion in 2013 to a predicted $3.1 billion this year, according to the 2015 Marijuana Business Factbook. Sales are expected to jump again in 2016 to almost $4 billion, and the industry is also estimated to generate an additional $8.6 to $10 billion in economic value on top of sales next year simply through normal business activities such as paying employees and vendors. This will all feed into the business conference niche of the industry. The growth in the number of business-centric conferences in the industry is also a positive signal to investors. Not only are business conferences indicative of a regulated, legitimate industry, but they also offer investors a way to discover investment opportunities. Just how many annual cannabis business conferences are actually needed to meet the demand remains to be seen, and the number will surely continue to fluctuate dramatically over the next couple of years. Some conferences have already sputtered out, and others attracted significantly fewer attendees and exhibitors than promised. While new events will certainly arise, eventually there will likely be only a handful of national business-focused trade shows and major gatherings, as is the case in other industries. How and why does the DEA continue to classify marijuana and hemp as class 1 drugs. They are not fighting a war on drugs they continue to fight a war on American citizens. Its time to ask why and who are they really protecting with their 3 billion dollar annual budget. Selling the picks and shovels is VERY lucrative at this stage of the cannabis industry. who the BIG THREE national must see conferences are .? I loved reading this article last year, can’t believe how long it has been since then. 2016 didn’t change the unfair raids on legal growers though, but baby steps!